The summer heat is nothing to be afraid of! Check out these unique and easy-to-find stay-cool items! It might not be quite as hot as in the countries of South-East Asia, but Japan’s summer gets pretty hot! Sometimes I’ll bet the heat just takes the energy right out of you, which is a shame when you’ve come all the way here. It’s just the same for Japanese people, though, and recently there are a lot of unique items available to help keep the heat at bay. Here I’m going to introduce some that would be affordable. 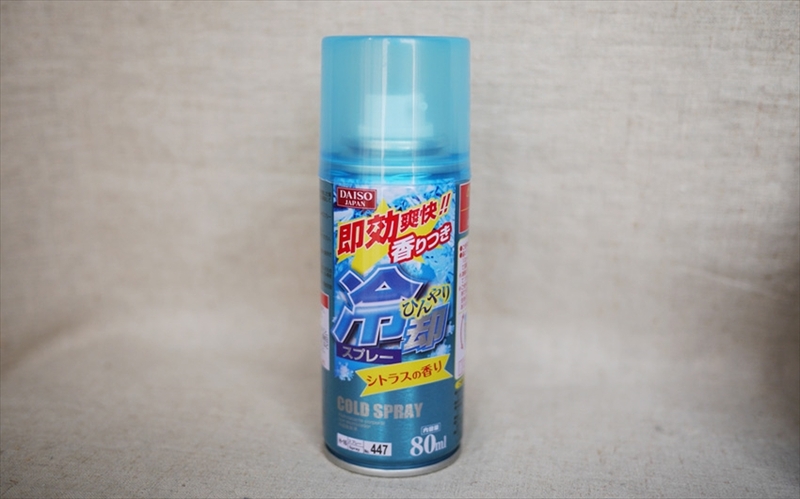 This is Cold Spray, which you spray directly onto your skin. Just spray it onto the part of your body that you want to cool for instant relief. This one is scented, but there are lots of different varieties available. 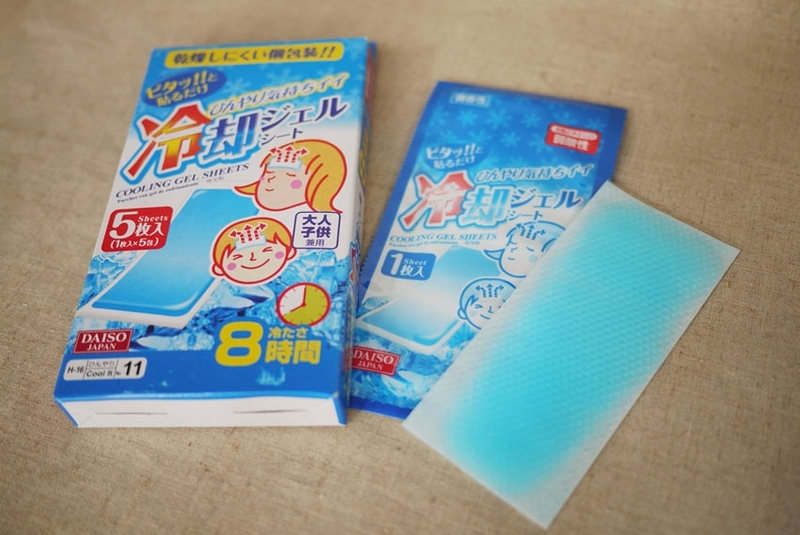 These Cooling Gel Sheets give a long-lasting cool feeling—all you need to do is stick one to your body, such as on your forehead. People often use them when they’ve got a fever, but they’re great for hot weather, too! 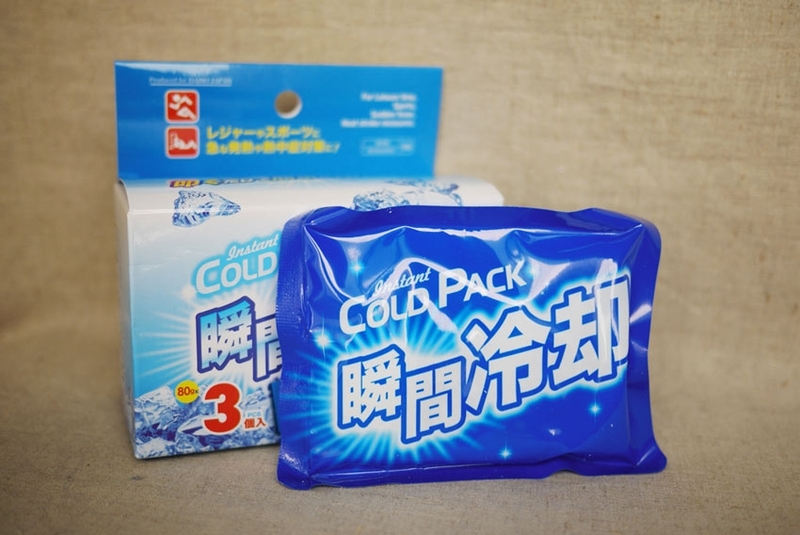 These Instant Cold Packs become cold when you pat them—there’s no need to chill them in the fridge or anything like that! They’re really handy for carrying around with you, as they’re cool right away when you need them. The only thing is, they don’t stay cool for very long. During the summer months, both men and women often use deodorant sheets. They’re thick, tissue-like sheets that are used to wipe sticky, sweaty skin, leaving it smooth and dry with a pleasant fragrance. Ones that also contain menthol give a lasting cool feeling. 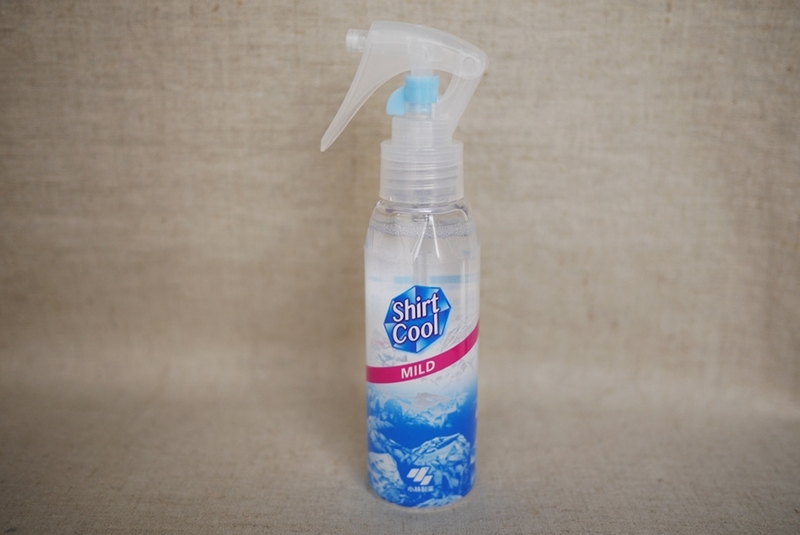 This spray simply needs to be applied to shirts or t-shirts before you put them on. 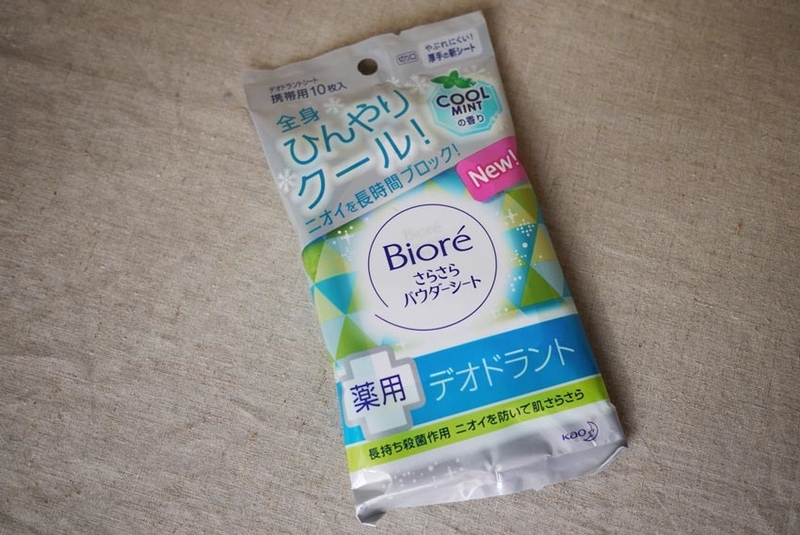 It contains menthol, so when you sweat you feel a pleasant, cold sensation. There are also various other ingenious stay-cool items available: sprays that instantly create ice when sprayed onto a handkerchief, scarves that you wet and wrap around your neck, and much more. As well as in variety stores, you can also buy them at affordable prices in convenience stores, drug stores, and 100 yen stores, so be sure to pick some up to help keep you cool during the summer.